How many words can you make in English or Spanish using this exact phrase? 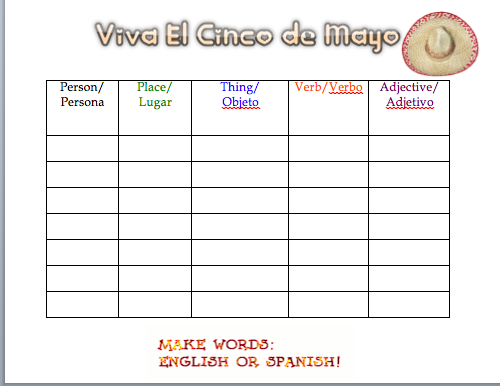 Click on the worksheets for more options! I assign a student to count from 1-?? (in silence). Then I assign a random student to ask the first student to stop. If the student stops at 15 seconds in, then that is the allotted time to look for words in either language. Great chance for pushing limitations and engaging in 100% motivation.